Driving an automobile has become an essential part of life for the vast majority of people. Being able to drive your car safely around town is imperative in order to adequately care for your family. Feeling a sense of terror while driving, can significantly diminish your quality of life. It is likely either you or someone you know has been involved in an auto accident and if this crash resulted in an injury, then you live your life in fear that it is just a matter of time until the next accident. 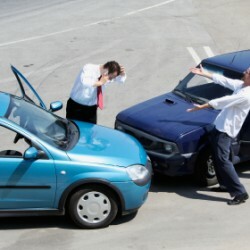 Having an auto accident attorney on your side can help alleviate some of the worry. Millions of people are involved in auto accidents every year and many of those individuals are either killed, or seriously injured. In June of 2015, Katherine Hampton and her two-year old granddaughter, were killed in an auto accident that had all the making a vehicular homicide. Twenty-one-year-old Alec Scott Abraham was in the commission of street race when he failed to stop at a red light and collided with a Chevrolet Cruz, being driven by the Hampton. Inside the car that Hampton was driving was her daughter and grandson. The two of them where seriously hurt and rushed to a nearby hospital, where they received medical attention and would eventually survive. Hampton’s daughter, the other adult passenger in the car, was the mother of the two children that were involved in the crash. Several people came forward and described Abraham as an arrogant and reckless person that exhibited complete disregard for other motorists around him. He was heard often boasting about flagrant traffic violations like running red lights and stop signs. At the time of the accident, witnesses saw him retrieve his cell phone from his car and anxiously leave the mess he made. Abraham was charged with two counts of murder and under California law, faces up to thirty years in prison. This case is horrific and heart breaking. Not only does it involve severe injury, but it also involves the death of a two-year old girl. This is the type of situation in which an individual needs the guidance of an experience auto accident attorney. Only an attorney that is skilled in fighting for the victims to the full extent of the law can ensure a just recompense. Although no amount of financial compensation can even come close to paying for this appalling loss of innocent life. This might help bring closure and begin the healing process. While you are in the process of choosing the right auto accident attorney to suit your needs, remember a few things. You want to hire a personal injury lawyer that explicitly practices cases that involve auto accidents. A general practicing lawyer may not be good enough to get everything you deserve. Furthermore, the defender you decide to use should have a proven record of accomplishment. This means they have proven their ability to win. Always consider choosing a local attorney, as they will likely be familiar with the legal landscape of the case jurisdiction. Remember you should not have to live in fear. If you need more advice on this topic, visit JohnBales.com.